As I mentioned in my last post, we have made it our little family tradition to go on a big roadtrip in the summer. Last year we went to Chicago, this year we drove all the way to the Carolinas! It was long but fun, because we packed a lot of yummy snacks and listened to some good music. Check out my playlist and have a listen :) They're mostly kid-friendly, although I had to skip a few songs lol. The trip was also good because we took breaks. We spent a night in downtown Atlanta, GA (THEIR DOWNTOWN AREA IS AWESOME) and Jackson, MI in between our visits to Charlotte and Charleston, so it wasn't too much of a drive! 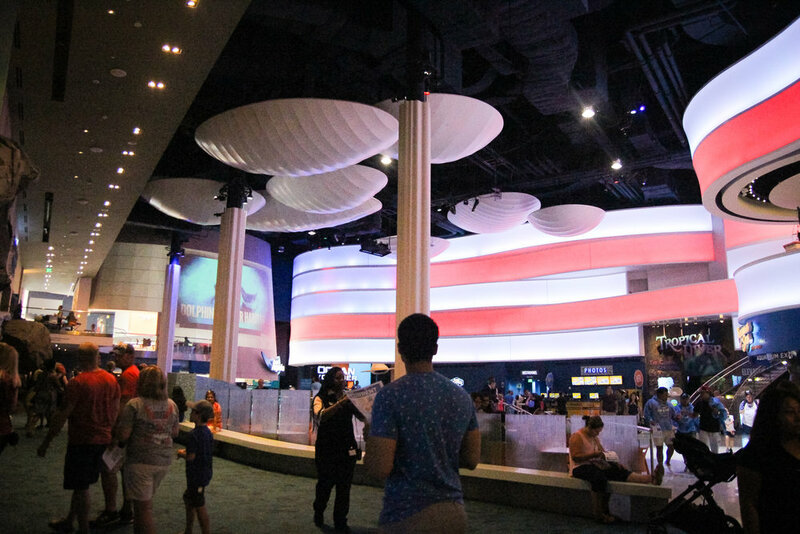 When we were in Atlanta, we visited Georgia Aquarium which is the #1 aquarium in the US! It's the best aquarium I've ever been to, it's super nice inside, it almost looks a nice shopping mall! The exhibits are great, especially the Dolphin show and the Ocean Voyager (right photo). The World of Coca Cola and Human Rights Center are also in the same complex. We stopped by Mary Mac's Tea Room for some peach cobbler and it was delicious! Imagine coming from Texas (mostly highways), passing through Louisiana, Alabama (a lot of trees), and Georgia (big buildings), and then suddenly, not seeing big tall buildings anymore. 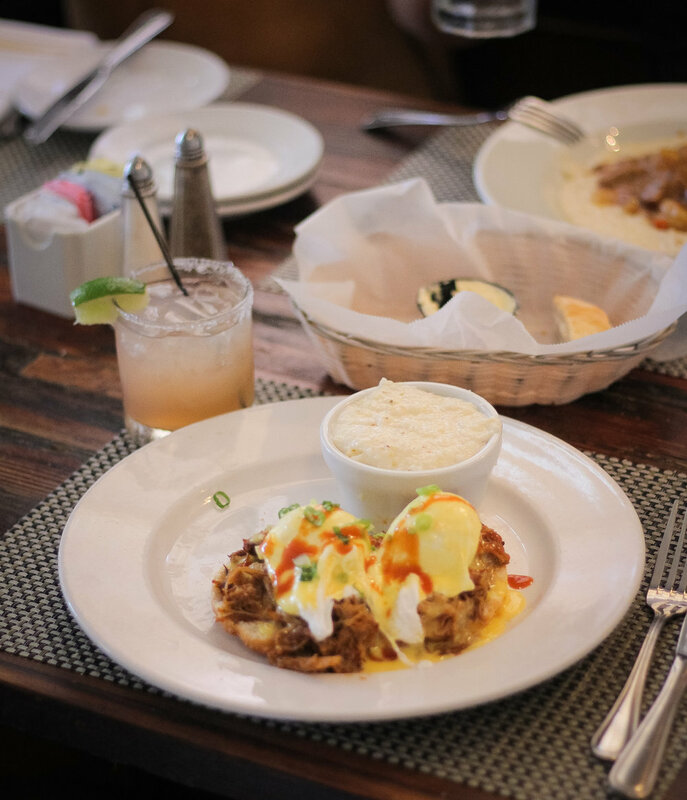 Instead, you begin to see historic buildings, quaint coffeeshops, French restaurants, 1920s-inspired hotels, and palmetto trees! I mean, it was almost surreal, I didn't know the Low Country was this beautiful! 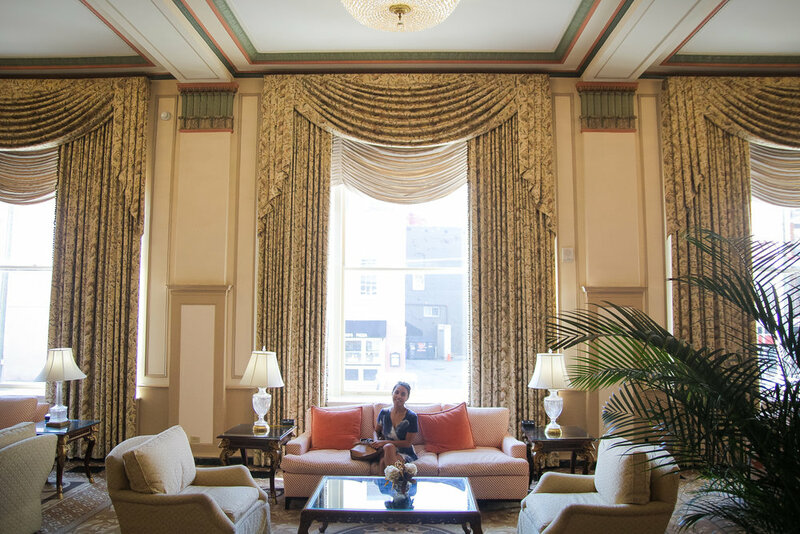 We stayed for 3 nights at the Francis Marion Hotel, right by the famous King Street and oh my goodness! It's soo pretty. Built in 1924, the hotel faces the Marion Square, right across tons of restaurants such as Skinny Dip and CO. The view of the Arthur Ravenel Jr Bridge and the old churches from our room is just pretty. We actually watched the 4th of July fireworks right from our room. The next day, we went to Rainbow Row to take some photos. It's such a dream! 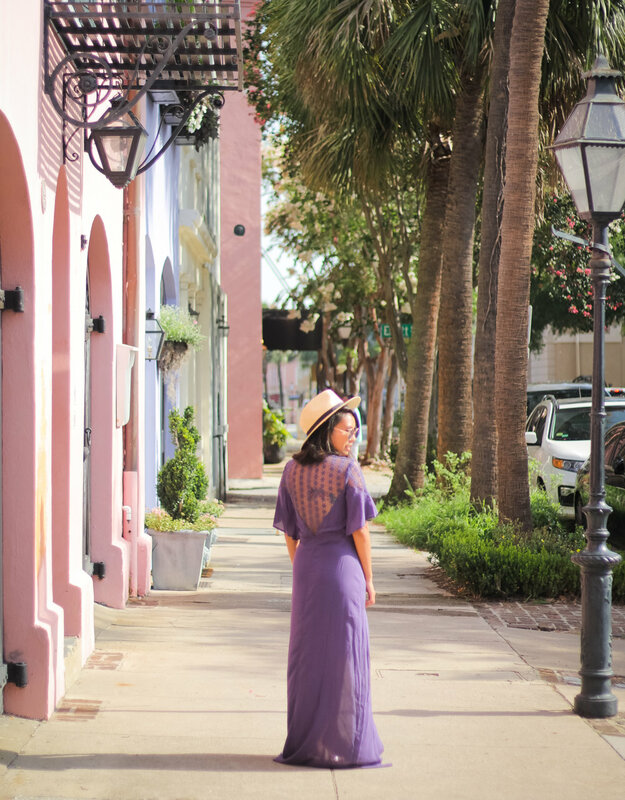 The pastel-y rainbow colored houses, the palmetto trees, and the vintage lamp posts are the makings of the ultimate vacay photo opp. You cannot visit Charleston without learning a little bit about the rich history that is engraved on every inch of the Holy City. 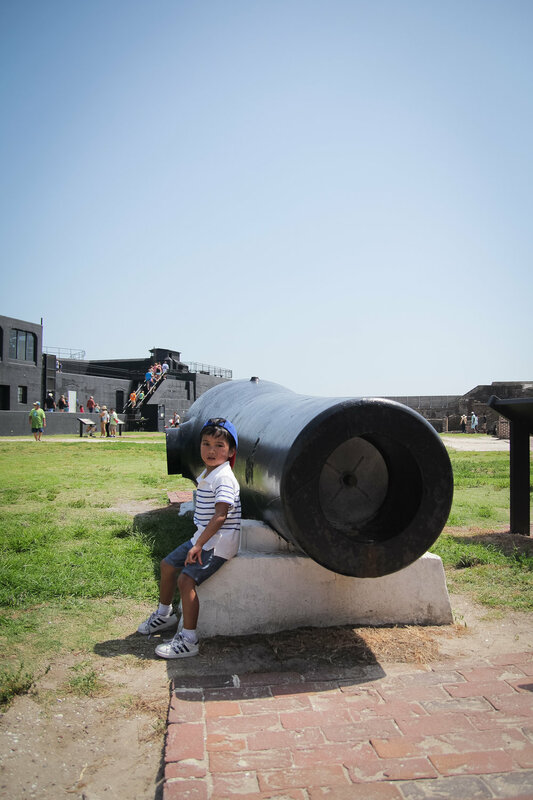 Out of the many museums that are open for public, we visited the Fort Sumter. The trip took about a little over 2 hours with a round-trip ferry ride and stroll around the fort. It was super hot snd humid outside but it was so worth it. We learned about the start of the Civil War, confederacy, jail system, slavery, and much more. The trip definitely enriched our perspective on things that the country deals with today. I must admit, I didn't expect Charlotte a.k.a the Lady to be this nice! The downtown area is really clean, green, and pedestrian-friendly. A lot of attractions and things to do/places to visit, one of which is The Bechtler Museum of Modern Art. We learned about kinetic art there and then we visited the Wells Fargo museum. We also stopped by the Aviation Museum and Billy Graham Library. Our stay in Charlotte was definitely very enlightening and educational. Left to right : Sweet Tea Fried Chicken Sandwich from Saw's Juke Joint (Birmingham, Alabama), Goat Cheese & Cherry + Brown Butter Almond Brittle + Salted Peanut Butter with Chocolate Flecks from Jeni's Splendid Ice Cream (Charleston, SC), Tacos in Myrtle Beach, Nutella Crepes from Queen Street Grocery (Charleston, SC) , Pulled Pork Benedicts from Poogan's Porch (Charleston, SC), and Nutella Raspberry Turnovers from Wild Flour Pastry (Charleston, SC). The Ru-San sushi buffet in Charlotte was also BOMB! Now because my little one has diet restrictions, I needed to prep some healthy snacks to munch on along the way. Lucky for me I had the delicious Protein Shake (comes with a shaker), Daily Superfood Greens (mixable with water/food), and Vegan Energy Bars from ALOHA with me. They're ALL plant-based, soy-free, dairy-free, and very filling! My favorite protein bar was definitely the Mocha one! For entrees, in between our Chick-Fil-A stops, we had Quinoa Meals by Cucina Amore which are gluten-free, preservative free, GMO-free, and yummy! We kept them in our car for days and they didn't go bad at all. The MANGO & JALAPENO one is SOO GOOD!!! Defintely a good snack/lunch alternative for those of us who'd like to diversify their diet and eat more fibers.